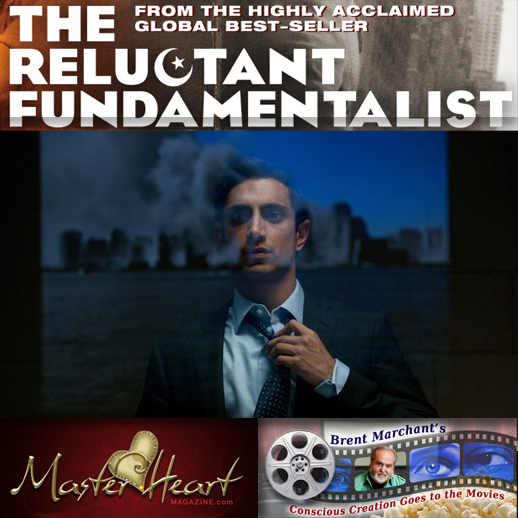 “The Reluctant Fundamentalist” (2012 production, 2013 release). Cast: Riz Ahmed, Kate Hudson, Liev Schreiber, Kiefer Sutherland, Om Puri, Shabana Azmi, Martin Donovan, Nelsan Ellis, Gary Richardson, Meesha Shafi, Imaad Shah, Chris Smith, Sarah Quinn. Director: Mira Nair. 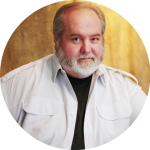 Screenplay: William Wheeler. Screen Story: Ami Boghani and Mohsin Hamid. Book: Mohsin Hamid. Web site. Trailer. When American university professor Anse Rainier (Gary Richardson) is kidnapped in Lahore, Pakistan, U.S. intelligence officials and local police are all over the case. They even resort to employing such unconventional measures as calling upon reporter Bobby Lincoln (Liev Schreiber) to interview a popular Pakistani professor, Changez Khan (Riz Ahmed), to see if he can shed light on his American colleague’s whereabouts. Changez is targeted because he often addresses provocative topics in his lectures and is thus assumed to be someone who can help authorities find the extremists who are believed to be recruiting students to carry out insurgent acts (like Rainier’s kidnapping) on their behalf. Changez agrees to meet with the reporter on one condition – that he be allowed to tell him his entire story; if not, the deal is off. And so, to get “the story” (i.e., the field intelligence), Lincoln agrees to hear him out. Changez tells Bobby that, to fully appreciate his current circumstances, one must understand where he came from. The professor grew up in Pakistan, the son of a poet (Om Puri), one whose words and deeds embodied a fairly traditional view of life, an outlook that this “modern” young man respected but found a little behind the times. Changez did not see himself following in the footsteps of his father’s generation; rather, like many young Pakistanis at the time, he aspired to a more contemporary path, one in line with the seductive material trappings of the American dream. To that end, then, he enrolled at Princeton and, after graduation in 2000, landed a job as a Wall Street financial analyst. Under the wing of his boss and mentor, Jim Cross (Kiefer Sutherland), Changez rose up through the ranks rapidly, his razor-sharp analytical skills proving quite useful in assessing high-level business deals. He also became intimately involved with a beautiful young artist, Erica (Kate Hudson), and developed a close circle of friends and colleagues (Nelsan Ellis, Chris Smith, Sarah Quinn). He truly seemed to be living a dream he could once only imagine. Despite his professional and personal successes, Changez saw his world change drastically in the wake of that event. Even with absolutely no connection to the September 11th tragedy, he suddenly became a perpetual suspect, routinely subjected to intense, often-degrading scrutiny by law enforcement officials, as well as the prejudicial attitudes of others (including one-time friends), simply for being a Muslim. But, if that weren’t enough, disillusionment set in, impacting both his relationship and his work life. The American dream was quickly turning into a nightmare. The breaking point finally came when Changez was assigned to analyze a business deal where the cold, unfeeling numbers he was accustomed to working with suddenly took on a human face. The callous circumstances associated with that transaction tugged at his heart strings, evoking memories of his roots and speaking to him both as an individual and as a Muslim. He was thus saddled with a quandary in which his personal feelings came into direct conflict with his duties as a representative of his company. It was more than he could bear, and so he resigned. With no job, Changez was forced to leave New York and return home, where he sought in earnest to reconnect with his culture and with himself. He took a position as a university professor, hoping to learn as much from his students as they could learn from him. In particular, he wanted to better understand the current state of “the Pakistani dream,” one with which he had seriously lost touch. It was also one that, as he quickly found out, involved numerous elements that were far different from what he had grown accustomed to. Changez’s efforts at continuing his own education brought him into contact with a variety of influences involved in shaping contemporary Pakistani society, including its radical fundamentalist factions. His association with such elements thus brought him to the attention of American intelligence officials – and now, a decade later, to his interview with the intrepid reporter. So who is the real Changez now? Is he a legitimate university professor genuinely curious about reacquainting himself with all facets of his country’s culture? Or is he a jaded radical hell-bent on exacting retribution against those who disillusioned him by actively fostering relationships with jihadists? Or is he something else entirely? And what does all this mean for the fate of Professor Rainier? Answering these questions successfully depends on how closely Bobby and his colleagues look at Changez and how willing they are to attempt to fully understand his story. In doing so, however, they must be aware that things may not be all they seem to be at first glance, a circumstance that can only be made worse by failing to fully examine the whole picture. Whenever we evaluate a situation that crosses our radar, we’d by wise to examine everything that comes before us, for doing less than that is fraught with perilous pitfalls and potentially disastrous consequences. This is particularly crucial from a conscious creation standpoint, because we draw heavily upon our powers of perception in forming the beliefs we use to manifest the reality we subsequently experience. If we scrutinize circumstances thoroughly, we’re likely to gain an insightful understanding of what’s truly going on and thereby create a reality that takes a broadly encompassing view in response to prevailing conditions. However, if we take only a cursory look at what’s before us, we’re prone to coming up short, formulating faulty, incomplete beliefs that are inadequate for comprehending and responding to existing circumstances. This is the case that Changez pleads, not only for himself, but for everyone, both on- and off-screen. By taking a superficial view of others and their circumstances, we often end up arriving at skewed misconceptions, leading to misinterpretations of their actions, outlooks and motives. In turn, they’re likely to respond in kind, misinterpreting our actions, outlooks and motives, which subsequently leads to more of the same on both sides, escalating matters toward an out-of-control spiral from which it’s difficult to extricate ourselves. And it’s disheartening to think that it’s all so completely unnecessary, a situation that can be avoided by simply taking a close, thorough look at things from the outset. This is how prejudice is born, that menacing cancer on our society – and on our collective existence – that does little more than fan the flames of manufactured fear, mistrust and hatred.  As laudable as taking a broad view might sound, however, just how do we go about it? Generally speaking, the process is not as difficult as one might think, but there are certain essential qualities that we must employ to make it work. The most obvious of these are time and patience, commodities that, regrettably, are all too rare in today’s instant gratification-driven culture (especially in Western society). It also requires keen powers of discernment, the ability to cut through the noise, fog and camouflage that often shroud circumstances to see what’s really going on. And, in forming responsive beliefs and actions to these conditions, the process further calls upon our aptitude for understanding consequences, the outcomes that flow from our assessments. But, above all, the process demands responsibility and commitment from us, a willingness on our part to sincerely and fully analyze all aspects of the bigger picture. The aforementioned blind spots speak to a capacity for taking a narrow view of the matters at hand, and the more restricted one’s outlook, the narrower one’s focus becomes, perhaps even degenerating into tunnel vision. When that occurs, fundamentalism is born, a perspective characterized by an inherently limited, often-intolerant, frequently literal interpretation of prevailing circumstances. Such thinking is hindering and unimaginative at best, treacherous and oppressive at worst, regardless of which area of life it’s employed, be it business, religion, politics, relationships or other endeavors. Approaching the creation of our reality from such a constrained standpoint seriously inhibits our ability to function effectively, but it can be made that much worse if we ignorantly and selfishly attempt to impose it on others. For his part, Changez recognizes the intrinsic danger in this, and, having lived in both the East and the West, he’s able to see the potential damage that fundamentalism can inflict on cultures on both sides of the globe. To help counteract the foregoing, we’d be wise to make the effort to recognize, understand and appreciate the multidimensional nature of our true selves. In suggesting this, I’m not referring to the development of an awareness of the parts of our greater being that extend beyond our localized selves (though such an expanded metaphysical outlook certainly couldn’t hurt); rather, this has more to do with appreciating all of the diverse qualities that make us up as individuals, the many dimensions that comprise our personal character. Developing such an appreciation allows us to see the bigger picture of who each of us is. Changez, for example, is more than just a professor who discusses radical politics; to see him in such a limited light, as the intelligence officials in the film tend to do, is a gross oversimplification of who he is. Rather, he’s also an educator who talks about society, culture and economics, as well as an astute analyst, a sensitive soul, a devoted son and an open-minded thinker, among other traits. Indeed, he is all these things and more, so failing to see him as anything less than that sells him short, preventing us from viewing all that he is and all that he has to offer. Thus, to avoid the kinds of pitfalls discussed earlier, it would truly be in our best interests to look to one’s multidimensionality; by not doing so, we may only see part of the picture (and a very small portion of it at that). The benefits of seeing the big picture ultimately outweigh taking a dim view of things. Openly embracing such a mindset may not always be easy, especially if we’ve allowed ourselves to succumb to the peer pressure and prevailing conditions that drive narrower viewpoints. But, if we ever hope to escape the confining chains of self-imposed limitation, we must have the courage to step up to the plate and be willing to adopt an outlook that celebrates open-mindedness and an expanded world view, just as Changez implores us to do. At some point, our future may well depend on it. 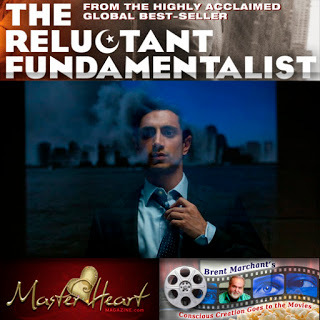 While watching “The Reluctant Fundamentalist,” I must admit that I initially found it a little slow-moving and meandering. But then, by film’s end, I realized this approach was essential to get viewers to appreciate the movie’s central message – that we need to take the time and have the patience to see someone’s story all the way through in order to grasp the bigger picture of who they are. When everything comes together at the end of this film, just as it does when we faithfully follow the account of anyone’s odyssey through to completion, we’re better able to appreciate the totality of their story – and their being. Indeed, as this picture steams toward its emotion-packed conclusion, it gets better and better as it goes along, stringing together the various threads that weave the tapestry of Changez’s life and philosophy. On top of its thoughtful script and dynamite finish, “The Reluctant Fundamentalist” is well acted and beautifully filmed, with a great soundtrack to back it all up. The film is currently playing in limited release at theaters specializing in indie cinema, but it is also accessible through the Independent Film Channel’s IFC Films On-demand feature available from many cable television providers. The advantages of an expanded view of reality should be patently obvious, but, to make effective use of it, we must follow through on our resolve to actively employ it in our conscious creation efforts. The rewards that come from doing so are almost too numerous to count, but the collective benefit they afford us is what really matters most, for it elevates us to a more enlightened level of existence. And anything that brings us a higher quality of life can only serve to make a better world for all of us who comprise our grand global mosaic. Photo by Quantrell Colbert, courtesy of IFC Films.